Adobe Analytics ~ Business Intelligence y Big Data: ¡Aprende Gratis sobre Analytics! 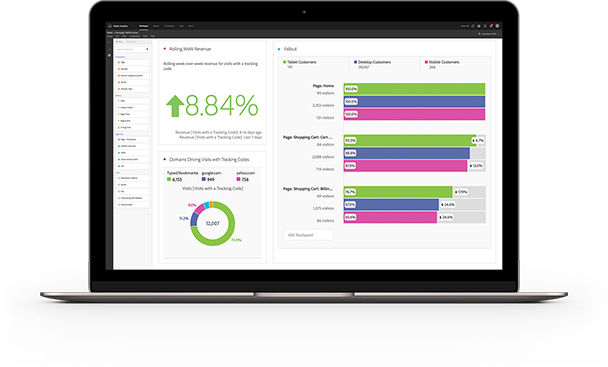 Discover audiences with enterprise-grade analytics. Multichannel customer intelligence for the enterprise. Advanced machine learning and deep customer intelligence. Take advantage of machine learning and AI to discover deep insights and uncover hidden opportunities. Use experiential data from cross-channel marketing and advanced analytics to get the most complete picture of your customers' journey.